The recipe couldn’t be easier…I threw it together in 5 minutes after lunch today. 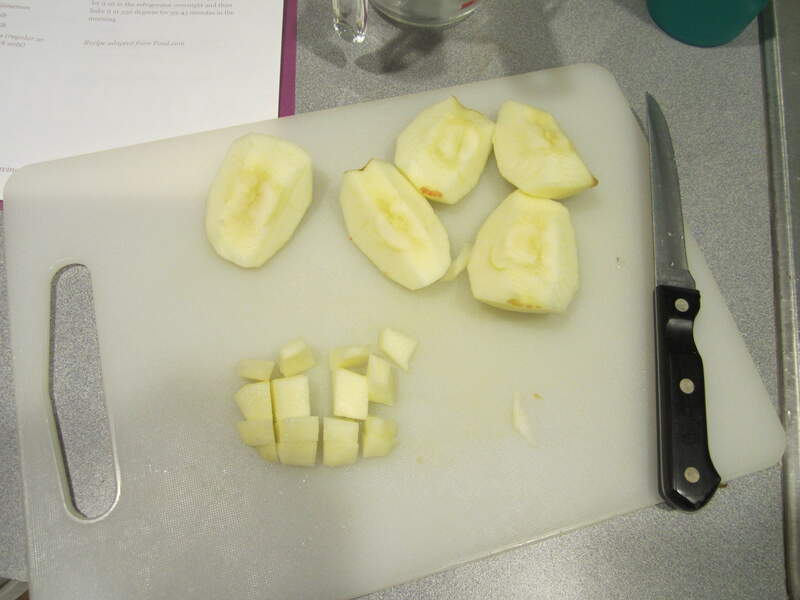 On the advice of my friend Danielle over at Cozycakes Cottage, I diced up 2 apples to add into the oatmeal. This is gonna be so good! 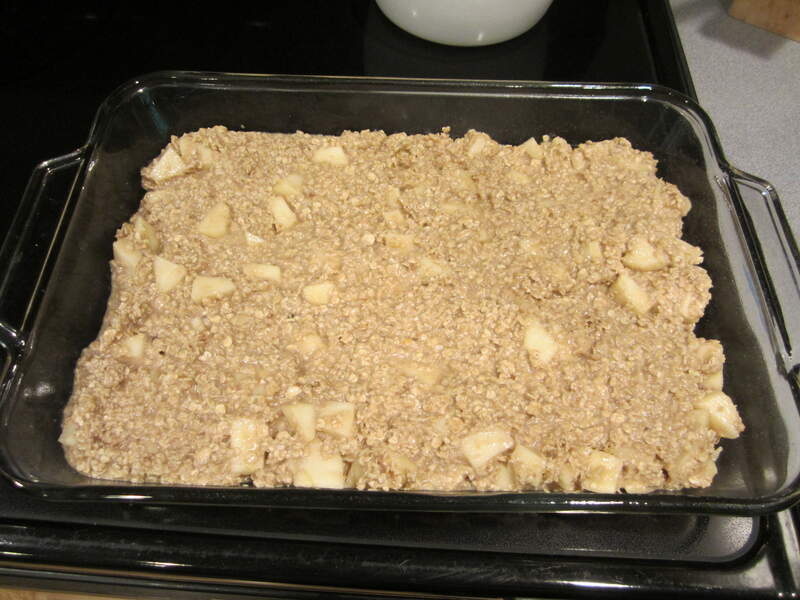 I poured the unbaked oatmeal into a greased 9X13 pan, just as the recipe directed. I decided to place a piece of plastic wrap on top of the oatmeal before covering it with foil, just in case it decided to form ice crystals on top. Well that looks like a really easy recipe. I have never made baked oatmeal before so I did not know how our family would like it. 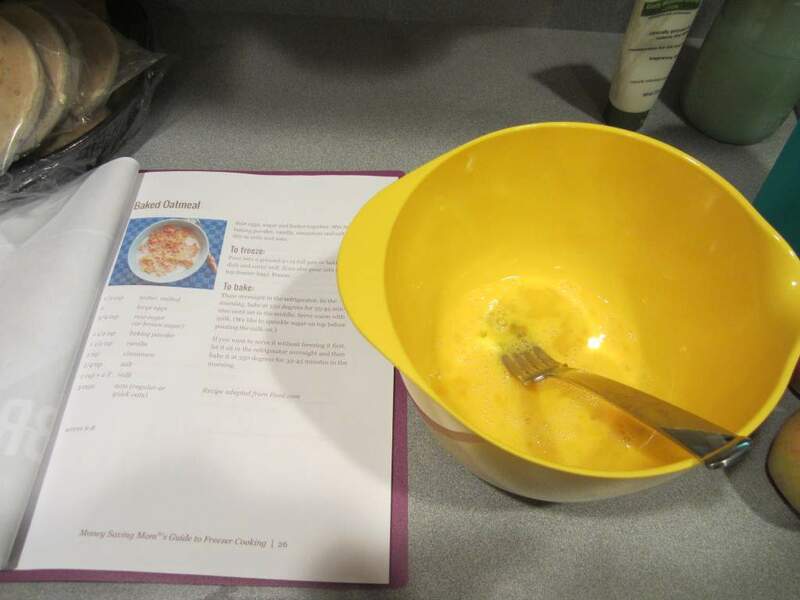 My kids like oatmeal but I was not sure we would like baked oatmeal. I think I might give it a try later but today we made our oatmeal packages because we were out. At least I stayed with the oatmeal theme. How funny, Erin! I’m JUST finishing up a post on finally starting tothe project today and was typing your name…ha! Great minds:) I didn’t add as many apples as you did 🙁 I have a feeling I’m going to regret using one apple instead of 2! Now I need to catch up before Monday! I’ve been *meaning* to try this recipe for a longtime, but never got around to it. It looks delicious, though! Great idea to write the cooking info. 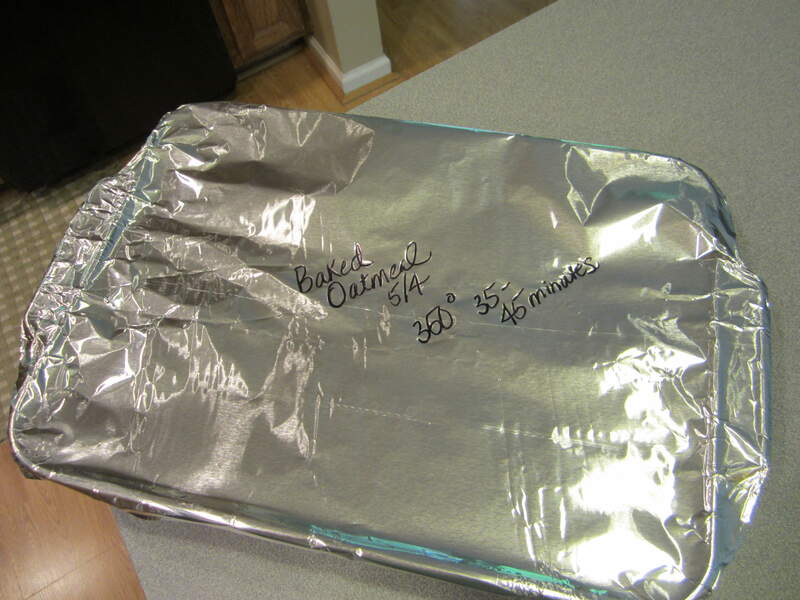 on the top of the aluminum foil, too.